Going crazy with a gamut of ERP solutions tightening their noose around you? It’s time to break it loose and choose the right ERP for your organization. An ERP which can be easily customized to suit your requirements for a number of functions and departments. Bsquare Solutions, an ERP Software company present INTACT ERP Software Solutions, which can be easily adapted to capture transactions for various industries, namely, retail, construction, manufacturing, eCommerce, warehousing, logistics, hospitality, health care and their different functions with great ease. Be it small, medium or large enterprise our ERP Solution is suitable for all sizes of enterprises and it offers a great deal of benefits to its customers, such as benefit of cost, as it lowers down the overall cost of recording transactions. Further, it increases the level of transparency in the transactions along with faster processing of data with better flow of information for the company. 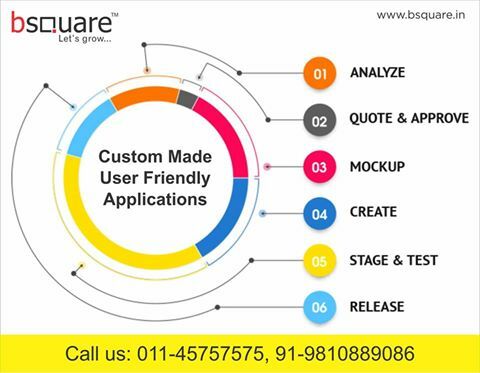 Bsquare Solutions is a leading ERP Software company and are known for developing custom applications for its clients. An ISO 9000:2001 certified company and has an in depth understanding and know how of cutting edge technology for delivering high quality in projects. Our experienced and highly motivated team come from a varied industrial background, which enables us to understand our client’s requirement and deliver better. At Bsquare, our aim is not just to be a software solution provider, but to be a reliable partner for the future.